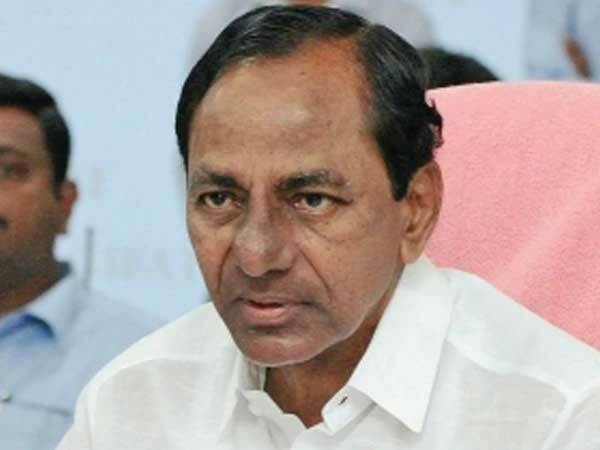 In a clear vindication of K Chandrasekhar Rao’s (in pic) popularity, the Telangana Rashtra Samithi (TRS) on Tuesday steamrolled a feeble opposition challenge to win the assembly elections by a landslide, riding pro-Telangana sentiments and the success of a raft of populist schemes launched by his government. Sixty-four-year-old Rao, who emerged as the mascot of Telangana pride when he led the massive movement that convulsed undivided Andhra Pradesh and ended with the creation of the youngest state of the country in 2014, powered his party winning 83 seats in the 119-member assembly. Its candidates are leading in five places, sources in the state office of the state’s chief electoral officer said. Rao himself won by a margin of over 51,000 votes from Gajwel, trouncing V Pratap Reddy of the Congress. Rao’s son KT Rama Rao and nephew T Harish Rao, both ministers in his caretaker government, also won by impressive margins. The newly elected lawmakers of the TRS are meeting here at 11.30 am on Wednesday to formally elect Rao as the leader of the legislative party. A TRS leader said the date for his swearing-in will be finalised at the meeting. The Praja Kutami (People’s Front), a 4-party opposition alliance led by the Congress that included Andhra Pradesh chief minister N Chandrababu Naidu’s TDP, CPI and the newly formed Telangana Jana Samiti, cut a sorry figure together, winning 21 seats. The Congress had just 19 seats in its kitty, two less than what it won in the last polls, while the TDP could win only 2 against its tally of 15 seats in 2014. The two other coalition partners failed to open their account. Telangana was the only state among the five where results of assembly polls were declared on Tuesday in which Congress had cobbled together a coalition amid the talk of formation of a broad-based alliance to take on the BJP-led NDA in the Lok Sabha polls next year. Buoyed by a string of electoral successes in assembly elections, the BJP ploughed a lonely furrow after the TDP walked out of the NDA a few months ago. But the TRS juggernaut put paid to all hopes the saffron party might have had of making inroads into Rao’s citadel. The BJP, which had won 5 seats in the last assembly polls in 2014 held in undivided Andhra Pradesh that it contested in alliance with the TDP, had to be content with just one seat out of the 118 where its candidates tried their luck. Its state chief and sitting MLA K Laxman finished a poor third in Musheerabad. Hyderabad MP Asaduddin Owaisi’s AIMIM, which Rao calls a “friendly party,” has won five seats and its nominees are leading in two places. “We are going to play a very crucial role in national politics. We will show. We will give a new definition to the national political scenario,” a triumphant Rao told a press conference. “Telangana results have shown the way to the whole nation. Today, Telangana stands (as) a non-Congress, non-BJP state,” Rao, who has lobbied with leaders of other major regional parties, including TMC supremo and West Bengal CM Mamata Banerjee, to pitch for a federal front against the two national parties, said. Dedicating his party’s resounding victory to the people of Telangana, Rao said an action plan for development will be prepared to meet the aspirations of people. TRS’s emphatic victory might well act as a springboard for the leader who harbours the ambition of playing a greater role in national politics.